Gold and silver coins garnered collectors’ attention over the last several days, new sales figures from the United States Mint show. News of recent sell outs, and far fewer choices perked up sales of remaining precious metals coins. Most of the First Spouse Gold Coins logged better sales, and all of the still-for-sale American Eagles, American Buffalo and America the Beautiful Five Ounce Silver Uncirculated Coins notched sharply higher weekly sales. The four-coin set had its strongest week ever. But then it is the only proof American Gold Eagle product available. The last of the four individually offered Gold Eagles sold out early last week. It, the $50 gold piece, advanced another 552. Also selling out last week was the 2012-W Proof American Buffalo Gold Coin. It gained 463 so its total moved up to 19,765, which is the second lowest mintage in the series. The U.S. Mint also called it quits for the 2012-P Hawai’i Volcanoes Five Ounce Silver Uncirculated Coin. It is the first 2012-dated coin from the series to sell out. It rose 96 to 14,863. The remaining four coins jumped. As a group, they shot up 1,093 compared to 483 noted in the previous sales report. Making its debut in this week’s sales report is the 2013 Birth Set. Sales totaled 4,273 through its first seven days. As a product designed as a gift for newborns, its weekly sales will be somewhat variable going forward. 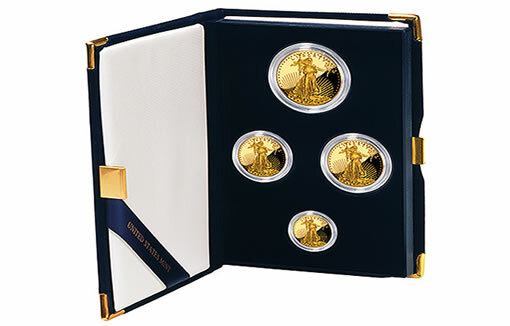 The set did make it on the U.S. Mint’s weekly best-seller list. The number one spot, the 40-coin roll of 2012-S Denali quarters, would have had even higher sales but it sold out. The rolls held the last of the 2012-dated quarters in circulating-quality from San Francisco. Next week’s sales report will include debut sales for the newly released 2013-W Proof American Silver Eagle and 2013 America the Beautiful Quarters Proof Set. The following grid provides the latest weekly and January sales for all U.S. Mint bullion products. The weekly period covers sales from Jan. 17 to Jan. 24, 2013. The following tables provide the latest totals for US Mint numismatic clad, gold and silver coins as of Jan. 21, 2013. Retail coin sales represent the leading edge of how to detect shortages. Shortages are always corrected with higher prices or premiums, in this case. It will be even more interesting to watch the industrial shortage develop — in 1000 ounce bars. The Mint web site lists the 2012 mint set as “sold out” this afternoon. Last reported number sold was 390,021, probably don’t reflect the most recent sales. Still this would be the least produced since 1962 or so. Restricting production and sales to the year of issue would make it easier to figure what production numbers would be and what to collect. Way to go, US Mint!